Knife laws in Colorado are straight forwarded and strict a little but easy to understand and less tricky. There are some knives totally banned in Colorado. Concealed knife laws and blade sizes are some important factors in Colorado for the knife laws. And after the updated version of the knife laws, there some changes have been shown up. To make them all clear to you, this article may help you with. Gravity knives, switchblades, and ballistic knives were illegal to possess in the knife laws of Colorado 2016 and the code was C.R.S. 18-12-102. “(1) As used in this section, the term “dangerous weapon” means a firearm silencer, machine gun, short shotgun, short rifle, or ballistic knife. Here ballistic knives are included in the “dangerous weapons” and gravity knives or switchblades are included in the “illegal weapons”. Possessing this dangerous weapon or ballistic knives knowingly is a class 5 felony. And possessing these illegal weapons such as gravity knives and switchblades knowingly is a class 1 misdemeanor. From the newly updated law of August 9th, 2017, with the code C.R.S. 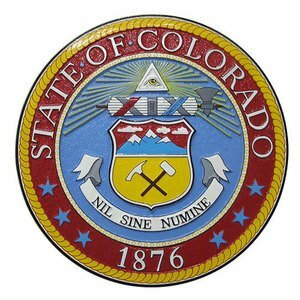 18-12-101, gravity knives or automatic knives are no more illegal or dangerous to possess in Colorado. But still, “Ballistic knives” are illegal and mentioned as the dangerous weapon in the section. So, the ballistic knives are totally banned in Colorado now. What will happen if you still possess one? If you are there for fishing and hunting then all fishing and hunting knives are legal in Colorado with no fixed length of blade size. It will be a class 2 misdemeanor if you conceal a knife knowingly or unlawfully. “3.5 inches” is the number you should remember always. If the size of the blades of knives is over 3.5 inches, those knives are illegal. You cannot carry a knife including a dagger, dirk, stiletto or other dangerous knives concealed over 3.5 inches blade-sized. It will be illegal. Knives less than 3.5 inches are not considered as the dangerous ones and you can carry them open or concealed easily. Exceptions: In this statement, all fishing and hunting knives more than 3.5 inches blade size can be carried concealed. These are not illegal. A Bowie knife, machete or sword, and hunting knives can be carried openly with any size of blades. If you are a member of the armed forces of the States. If you have a valid permit or license for the possession of that dangerous or illegal knife. If you had no idea you possessed an illegal one. If the knife you are possessing does not work or have the quality of being dangerous or deadly even if it shows as one. You can defend yourself when charged if you can prove one of them. 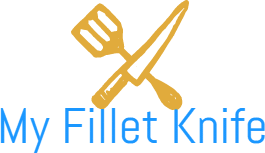 Pen knives, cane knives, lipstick knives or other disguised knives. Dangerous or deadly weapons or knives are illegal to carry in any school campus, ground or buildings in Colorado. From kindergarten to schools even university areas are restricted to possess one. And it will be a class 6 felony when someone knowingly or unlawfully brings one. Exceptions: Some authorized persons can still carry or possess these dangerous weapons on the school premises. On the purpose of in any authorized extracurricular activities or athlete team that requires showing any of the dangerous weapons or knives. Code 18-12-105.5 explains this too. In Colorado, concealing a knife over 3.5 inches is a crime. Otherwise, you can carry any knives (except ballistic knife) openly. And about hunting and fishing, there are no restrictions. Till 2017, gravity knives, ballistic knives, and switchblades were banned but now only ballistic knives are illegal there. The law is now updated. So, don’t get confused.